WHY FIT IN WHEN YOU WERE BORN TO STAND OUT? 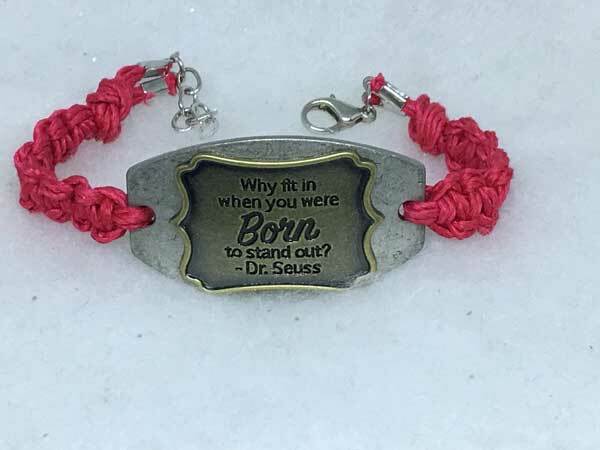 This Dr. Seuss quote is complimented with dark fuschia bamboo cord. The addition of chain at the lobster-claw closure, allows the length to vary from 7 to 8 inches.